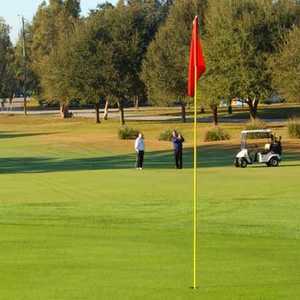 TAMPA, Fla. -- If you don't mind dodging the occasional errant tee shots from the beginners who hone their game on executive golf courses, you might find that the short courses can be a great boost to your game. Executive golf courses put a premium on the short game. Everyone who takes golf seriously knows that the closer you get to the hole the more complicated the game gets. There isn't a lot of difference between the executive courses and the championship courses. The only real difference is that you don't have to go macho with the drive off the tee. Most executive courses have smaller greens, which puts a premium on the short game. The eight-county Tampa Bay area has plenty of executive courses that allow golfers to get their game ready for the more than 300 championship courses in the region. The smaller courses are great places to learn the game, as well as etiquette. The rules may be more relaxed, but executive golf is golf's version of spring training baseball. It's a great way to get ready for the big time. Most of the executive courses allow walking, which is rare among the par-72 courses. Whether you are a beginner or a low handicap looking to work on the short game, there are plenty of options in Tampa Bay. Bay Pointe Golf Course has been packing in large crowds since its inception in 1961. It plays to 3,167 yards, but the tight fairways make it one of the more difficult executive courses in Tampa Bay. There are seven par 4s, but the longest plays to only 199 yards, so leave the driver at home. There are trees that come into play on almost every hole, and there is a nice view of the Gulf of Mexico, which is about a mile away. Walking is permitted and carts are available. With only one par 4, Pinecrest Golf Course plays to only 2,235 yards, but getting it to the green is the least of your problems. Three greens are tight and undulating, and there are plenty of trees waiting for tee shots that go way wide. A creek winds through the course ready to catch any tee shot that splashes short of the green. Built in 1968, Pinecrest doesn't feature a lot of water or sand, but the greens still offer a bite. Walking is available. 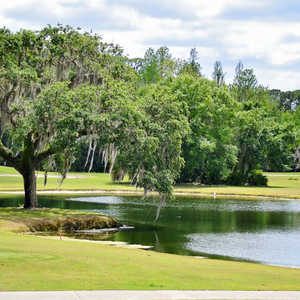 Largo Municipal Golf Course plays 3,335 yards with nine par 4s and nine par 3s, but it's tricky and, although it's mostly straight, there is water that comes into play on plenty of holes. The opening hole is a par 4 with water on the left and a bunker on the right of the green, so it makes for a challenging round right off the bat. Nos. 10, 14 and 17 all have water fronting the green, so bring an extra club. This is one of the tougher challenges among executive courses in the area. Village Green Golf Club plays to all skill levels. It isn't a true beginner's course because the four par 4s are challenging enough for any golfer. A lot of executive courses bring in a lot of beginners who spray the ball over the place, but this one, playing to a par 58 and 2,810 yards, can present a challenge. It's close to some of the top courses in Sarasota and presents a great warm-up for some of the par 72s. Built in the mid-1960s, Village Green doesn't have a lot of sand, but the bunkers are strategically placed around the green. The longest par 3 is only 165 yards, but the greens are small. The semi-private Terra Ceia Bay Golf & Tennis Club has one of the better practice facilities on the Florida Gulf Coast. Only a few minutes from the Gulf of Mexico, Terra Ceia Bay has gone through a transformation and is under new ownership that has taken great efforts to update the course. The entire back nine was recently reconstructed and, playing to a par 62 and 4,015 yards, it is one of the longer executive courses in the region. Golfers can walk or ride any time. Sand, water, trees -- Pinebrook/Ironwood Golf Club has them all. It's a par-61 3,706-yard course -- and it plays tough, especially with greens that are considered the fastest of any executive course on the Gulf Coast. The nine par 4s bring water into almost every tee shot, so don't underestimate the length of the course. Water and woods make Oyster Creek Golf Club an exceptionally tough course. Starting on the first hole, it is a 149-yard par 3 over a waterless gully filled with weeds. There are plenty of lakes to maneuver and water comes into play on 13 holes. 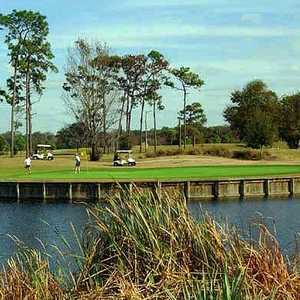 The course is also great for nature lovers as it is surrounded by environmentally protected wetlands.